UFO SIGHTINGS DAILY: Glowing Entity Caught In Photos As Woman Walks Through Woods, Oct 2015, UFO Sighting News. 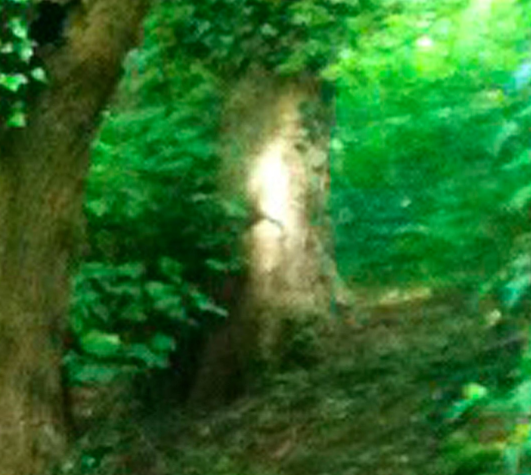 Glowing Entity Caught In Photos As Woman Walks Through Woods, Oct 2015, UFO Sighting News. This really sounds like an alien to me. It glows, semi invisible and appears as if its angel like or divine. There is a species of energy beings that do not reveal themselves very often, and if they do, they have a big purpose for the person they visit. Often mistaken for angels. 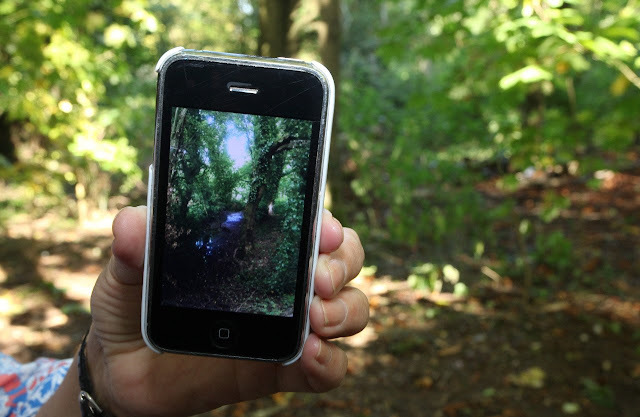 This is the eerie image of what a great-great gran believes is the ghost of a boy she captured on her iPhone 3. Elaine Stewart was left spooked when she saw what she believes is the spooky outline of a young child from the 18th century as she walked through a beauty spot in the Black Country. 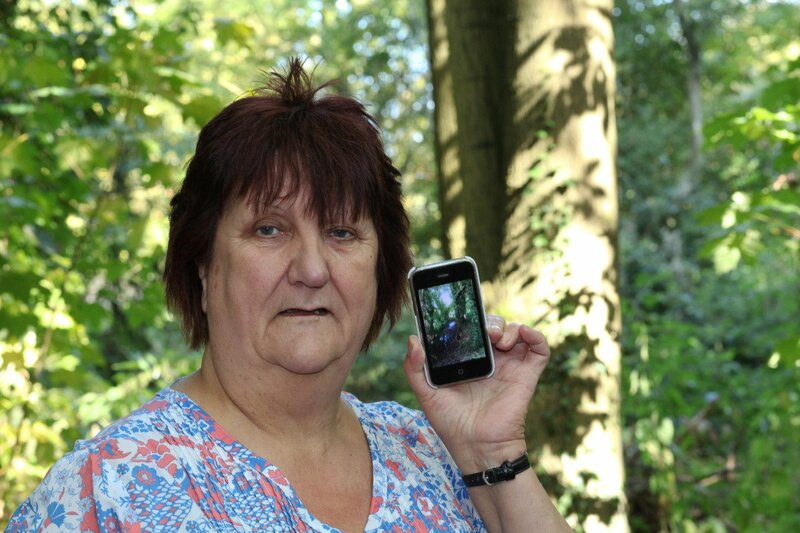 The 65-year-old only noticed the boy leaning against a tree when she returned home from her walk in Wasson Pool in the West Midlands. 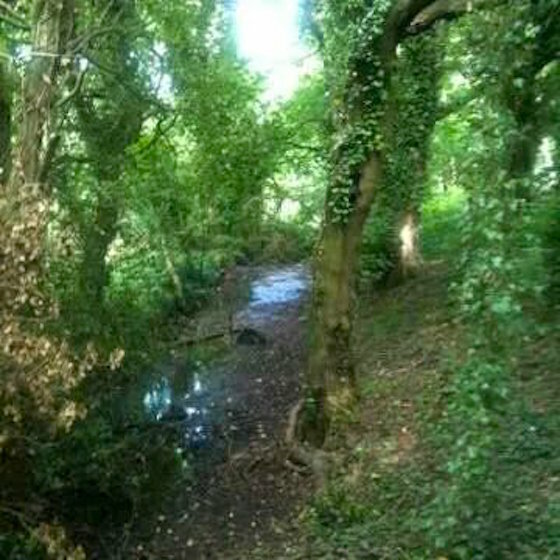 Retired auxiliary nurse Elaine, from West Bromwich, has researched the area and discovered the woodland is on the site of an 18th century coal mine. She said: “I love walking in those woods, it is so peaceful but one afternoon the mist was down and I took a picture on my phone. "It was very atmospheric. I didn’t think too much about it until I got home and was scrolling through my pictures when I suddenly saw a child standing by the tree.